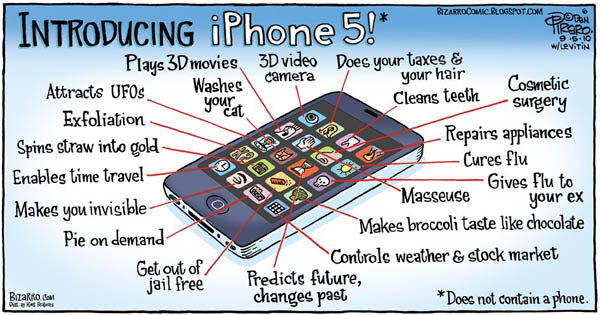 One of my readers commented on a blog a while calling me out for “talking crap” about the iPhone 5 and we started a debate about whether Apple really does innovate products anymore or have they lost a bit of the allure that once was when Steve Jobs was around. Of course the answer to this is subjective, but what I found most interesting about this conversation was that he called me an early adopter, thus explaining why I have moved on from Apple. So after watching Apple’s latest keynote speech where they introduced the new iPad mini, the new iPod nanos and some other product upgrades, I began to think about that conversation and what it actually means to be an early adopter. Essentially what I was being told was that because I like to get in on the ground floor of new tech items, it’s easy for me to get bored with the tried and true. In other words…the moment all my NON-tech savvy friends, my parents or anyone from the older generations start using things like the iPhone, I decided to jump ship to a less-saturated market. I guess sub-consciously I don’t want to be grouped in with all of the people that just buy iPhones because they see celebrities using them. Apple just launched the iPad mini which is really nothing special other than it provides a smaller iPad solution for those seeking one or just interested in owning an “i” device without shelling out tons of money. 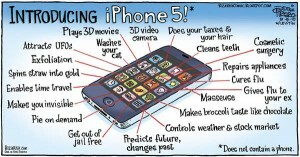 I feel this is great, but as a tech person, I tend to look at things from an aerial view. When done this way, it appears that Apple isn’t really creating anything new and exciting, but rather just releasing newer versions of their flagship devices. Now I know all you business-minded people out there will tell us that this is the perfect business model: sell the hell out of your most popular products, but when is enough, enough? How many versions of the iPad do we really need? And I’m not just talking about the different colors or sizes, but actual upgrades! 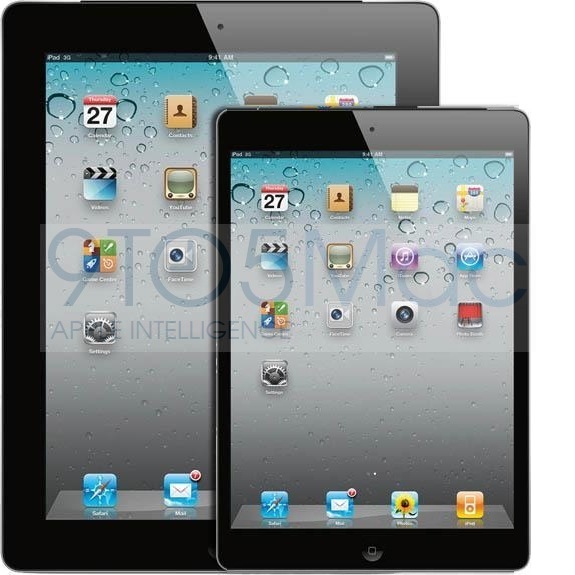 The new iPad (iPad 3) came out just last March and already it’s been replaced by the new iPad (iPad 4)!! That’s right, as of today, the “new” iPad of November 2012 just replaced the “new” iPad of March 2012. TechRadar exposes the key differences between iPad 3 and iPad 4 on their blog, but basically you’re getting a faster processer, a better front-facing camera and the new Lightning connector that everybody loves to hate. I feel bad for everyone that bought the new iPad last March after scrimping and saving for it only to be trumped by a new, new iPad today! The old adage that technology is outdated the moment you buy it is coming true for iPad 3 owners today. At least back in the day, there was some unwritten business plan that only released new products every year, which I still think is too fast, but seriously…only eight months?! To top it off, the people who somehow didn’t know the iPad mini was coming, they too probably feel ripped off that they just dropped $500 for a new iPad when all they wanted was a slightly bigger iPhone. As if my thoughts aren’t evident enough, here’s some more for you to chew on. I’ll give Apple a pass this time around. Rather than complain that there are too many versions of every Apple product, I’ll just say that maybe they’re just re-aligning their product line. They now have a full line of Macbooks, iPods, iPads and iMacs that come in a variety of sizes and colors. If we started at square one, then we can say that Apple finally has a product for everyone at almost every price point. Yes, saying that made me feel better. But I have a feeling that next year isn’t going to bring anything new and spectacular. I think the tech world is going to have to slow down like the video game console world has. 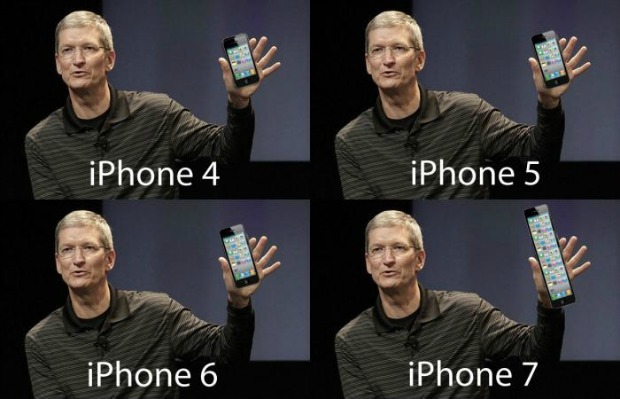 There’s no need to release a new device every single year. what phone did you move to from the iPhone? Originally, I went to the Samsung Focus with Windows Phone 7 installed. Shortly after that, I moved to Android with the Samsung Galaxy SII, but then I completely abandoned the third-party Android software and went to the Google Nexus phone. Now I no longer have carrier contracts nor am I hampered with manufacturer/carrier software that can’t be removed or changed. In other words, I am no longer tied to the network. So you complain about Apple putting out product for the sake of keeping up with a yearly release but yet you went with other companies that put out much more useless product than Apple. In a way I understand what you’re trying to say but in another you just come off as an bitter Apple hater. Apple puts out product and it sells. In fact it sells quite well and it keeps share holders very happy. The other companies seem to throw crap up against the wall to see what sticks. Granted what sticks is great but look at the crap we had to go through. Apple has never done that. Actually if you read closely, I mentioned that the “yearly” release of products has become quite the norm and we’re all used to it. Apple tends to release things much faster as they have done with the iPad 4th generation. As far as the other companies I’ve gone with, they haven’t put out crap. In order to draw a proper comparison, I’d have to know specific examples. 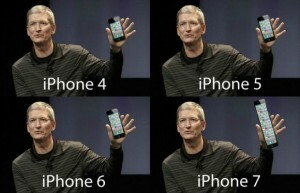 It would be unfair to compare 5 different Android devices from 5 different manufacturers to the one current iPhone made by Apple. You have to compare them one on one. I admit that there are less-than-stellar Android devices, but then again, there’s not ONE company producing trash products and throwing them all the wall to see what sticks. The beauty of Android is that it’s a free OS and many companies have their own version of it with their own device. However, that’s also its downfall…too many variations of one operating system makes people confused because they don’t understand the differences. But this is not Google’s fault and should not be an accurate reflection on Android itself. In other words, if we’re going to debate about which is better, iOS or Android, we need to compare them directly with each other, but the only way to see the true Android software is to use a Nexus device. If we’re going to compare iPhone to an Android phone, you have to pick a phone comparable in specs…say the Galaxy S III. But I digress. Apple is regurgitating the same products over and over because, like you said, they sell. I’m not disputing that, but let’s hope they have another plan when people start realizing they still have choices in the world…outside of Apple. And with Google stepping up the Nexus line as much as they are, it will be very interesting to see. Once Microsoft gets their app store really going, they’ll pose another challenge. As far as this “crap” you speak of from other companies, where is it exactly? If you were implying that Apple is perfect, you have to remember, Apple has had its share of failed products too. Mac Portable, the Newton, PowerMac G4 cube, AppleWorks, MobileMe, Apple Bandai Pippin (video game console), QuickTake (camera) and let’s not forget their first cell phone, the iTunes ROKR from 2005 (it was made by Motorola, but the idea was Apple’s). The point is, most companies have had a failure or two in their history. As far as Android phones go, Samsung is considered the leader and so far I haven’t seen any failed phones from them. So let’s figure out what you’re really trying to say. Are you really implying that Apple who is one company that makes one phone with one OS is the same as Samsung who is one company that makes 3 or 4 different phones with different operating systems and different models for each carrier? Samsung might seem cluttered to you, but none if these devices are failures by any standard. I see them as choices.